The side entrance towards the back of the parking lot will be used. The competition is being held in the fellowship hall. You are viewing the schedule for the venue First Christian Church of Peoria. * Please be familiar with the WCA Regulations. Competitors in 3x3 with Feet should be familiar with Article D.
* When you sign in at the competition, you will be given a paper telling you when you compete and when you will judge. All competitors will be required to judge for a group of each event that they are competing in. This helps the competition run smoother and quicker. For competitors who do not know how to judge, please ask a staff member, and they will be glad to teach you. It is not a difficult task as long as you know what you are doing. * Please remember that there is NO flash photography allowed. It is distracting to competitors and against the regulations. Also, make sure all cameras used at the solving stations have their screens faced away from the competitors or the result will be a DNF. * If time allows, there will be a 5x5 Final. The top 12 competitors from the previous round will make the final. If there is still enough time after a 5x5 final, a 3x3 With Feet final will also be added. The top 12 competitors from the previous round will make the final. * All competitors will be divided into groups for each event that they are competing in. When the group that you are in is called, you will bring your puzzle up to a table with scorecards for all competitors in that group, and you will place your puzzle on top of the scorecard with your name on it. There are many dining options nearby including Culver's, Steak and Shake, Qdoba, Wing Stop, McDonalds, and Subway. Thank you to CubeDepot, Culver's, and Elite Cubing for sponsoring prizes for this competition. 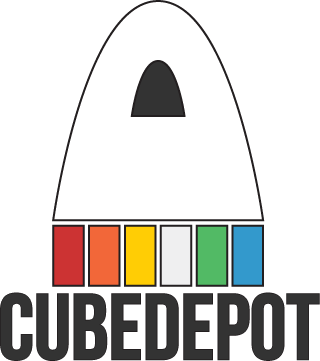 The winners of each event will receive a CubeDepot gift card. Second and third place for 3x3 will also receive a CubeDepot gift card. All second place winners will receive a coupon for a free concrete mixer at Culver's redeemable at the Culver's on University Street in Peoria. All third place winners will receive a coupon for a free scoop of ice cream at Culver's redeemable at the Culver's on University Street in Peoria. The top 6 competitors in Kinch rankings at the competition will receive a t-shirt of their choice from Elite Cubing. Elite Cubing will be selling t-shirts and hoodies. You can check out some of their products here. This competition is now full. There will be a waiting list to fill in any competitor openings. In order to be on the waiting list, you have to register and pay your registration fee. If your registration does not end up being accepted, you will be refunded 100% of your registration.